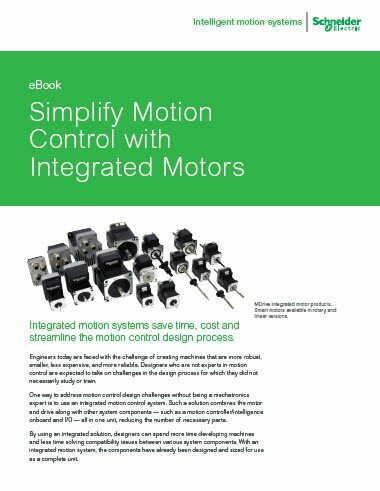 Register to receive a copy of our eBook, “Simplify Motion Control” to learn how integrated motors can accelerate your design process and save you money! Fill out the form to receive instant access to our eBook “Simplify Motion Control.” Intelligent integrated motors are redefining machine design engineering by reducing the size and complexity of motion control systems. Learn how you can reduce the cost and time-to-market for your motion application.